The good news is that one of the Bros has a brand new addition to his family. Congratulations! The bad news is that we are going to reschedule this event for another date. All advance ticket purchases will be refunded via ShowClix. Thanks for your interest and support. Please spread the word to your friends who are not on Facebook. Rose & The Bros out of Ithaca, NY began as a collective dream. 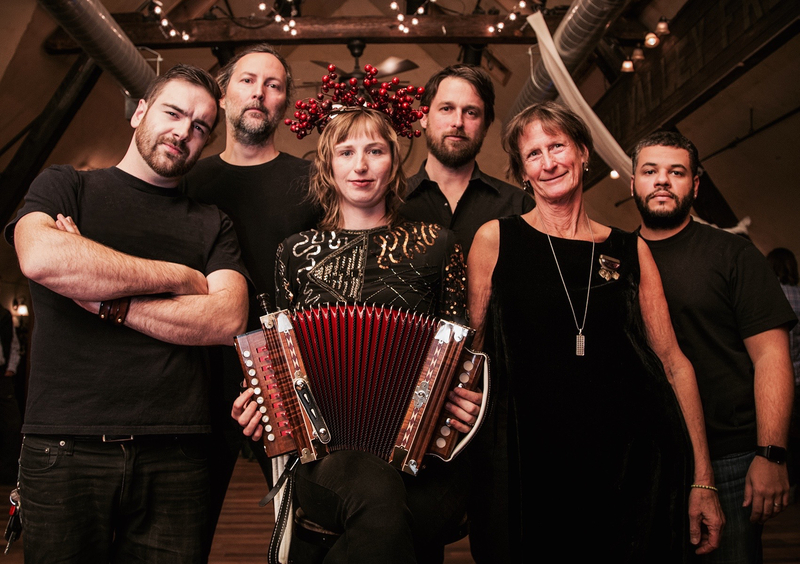 Rosie Newton is an internationally touring fiddle player and singer with her Old-Time duo w/ banjo player Richie Stearns, Richie and Rosie, but plays a mean accordion in her spare time. Rosie, fiddler Steve Selin and guitar player Paul Martin all wanted to have a band together to play rockin’ music people just couldn’t help but dance to! Starting in 2015, Rosie, Steve Selin, and Paul Martin formed a trio and began collecting songs and organizing their dream dance band that people just couldn't help but rock to! When they joined forces with the rhythm section Angelo Peters (leader of Big Mean Sound Machine), Greg Evans, and Sally Freund, the band was complete. Together they specialize in Cajun and Zydeco music from South West Louisiana. They also include sweet vocal harmonies and a few crooning country classics in the mix. Their goal is to breathe life into the young dance music scene and have a great time doing it. Admission is $12.50 total in advance (no added ticket agency fees). $15.00 cash at the door. So you have never danced to this music before? We will provide a quick lesson before the live music starts!